Outfit Planner Apps vs. Personal Stylist. What’s best? Women over ages have known one thing for sure, as sure as the sun will rise in the East tomorrow – that they simply do not have enough clothes to wear at any point in time. In addition to this there is the matter of dressing appropriately for occasions with the combination of outfits they already have. All efforts in this direction do not always yield the desired effect at times. You end up despairing as deadlines loom and you are still rummaging aimlessly through your wardrobe. Wouldn’t you feel the need for an outfit planner desperately at such times? Someone in the know about fashion trends, as well as an innate instinct to pick out the perfect outfit for you. Someone who will keep in mind who you are as a person, what kind of outfits would look good on you, how to choose accessories to avoid the OTT look and remain classy, and so on. Who should guide you on wardrobe choices? The question you will face here is how to go about it in the first place? Who would be the right person to guide you on wardrobe choices? Or should you go with a virtual guide? There is a proliferation of apps now who act as fashion guides. There are bound to be pros and cons of both, leaving you in confusion all over again. Given this, the Chicisimo app is really wonderful, but before you believe in it, here’s something more for you. 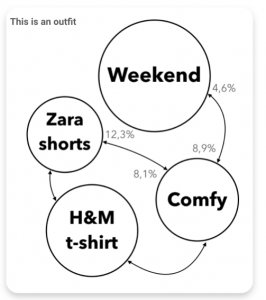 What are the factors that weigh in favour or against a virtual app acting as a fashion consultant? 24×7 availability. One of the biggest advantages of engaging with an app when it comes to your sartorial choices is that advice and suggestions are just a movement of your finger away. Be it any hour of the day, with apps like Chicisimo do you even need to worry? Upload every detail of your wardrobe onto these apps, and then take your time to sort and arrange your virtual wardrobe in a manner that is easy for you to access and make sense of. The fact that this guidance is available to the user at any time is a big plus as against engaging with a personal stylist. Right from seeking an appointment, sometimes weeks in advance, to physically visiting them and then having to wait until they are available in case of last minute emergencies, these are some issues one might face with an outfit planner. Easier on pocket. A personal stylist comes at a cost, full stop. And that cost could be quite a lot too. Especially so as you look at bigger budgets and labels in order to keep yourself looking relevant, stylish and classy. A personal stylist will have her own fees to charge; in addition you have to spend time on them commuting to your place and taking a look at your wardrobe before they can dispense advice. An app is free to download most of the time. Even if it is chargeable, it is worth the money spent. After all that is all you have to spend in a long time and get your clothes and accessories sorted out for you. Missing out on the real feel. All said and done though, fashion is so much about feel and texture and human judgement, is it not? A virtual app is just that, virtual. However much AI expands its scope and whatever way app designs are created to make them more interactive, it is till date the general feeling that they cannot replace the human touch when it comes to certain aspects of our lives. A stylist moving around you, tucking in the hem a bit, patting your hair in place just so, is a different feel altogether. A real interaction and discussion on current trends, suitability, sustainability and so on is a complete different experience. But, believe it or not, the Chicisimo app can indeed give you that experience, by being always at your side. Lack of instinctive dressing. Again an aspect that an app would lack is what a personal stylist can bring in, instinct. Looking at how an outfit appears on you, adjusting a cinch or adding a scarf for that effect, depending on how you look in it, all of these touches can only be expected from human interaction. But again, there’s the Chicisimo app which gives you all possible combinations depending upon the different options that you have, the final decision ultimately rests on you. However, you can sometimes not truly judge how you appear in an objective manner that the app can spot. Flexibility. A virtual outfit planner comes with a lot of flexibility to its user. Apart from the fact that you can use it anytime of the day, an app like Chicisimo allows you to experiment and arrange your belongings and accessories in a manner you like, and is open to reinventing itself again and again as per your whims and fancies, presenting the same items in different categories for you to decide. It is to be kept in mind that a personal stylist quite likely will not be in the mood for every single time you decide to change your mind. Granted it is their job description to be accommodative of their customer’s fancies but you know how you can be at times, difficult to please with what you have at your disposal. So to all the beautiful ladies out there, the points are all laid out before you. You can see for yourself that there are pluses and minuses to both aspects. However, practicality seems to lean towards registering yourself onto a virtual stylist to manage your wardrobe. You are blessed if you have an innate sense of style to add that oomph to what your final look will be like. Chicisimo is there at hand to guide you in every aspect of fashion. With the app tried out to the satisfaction of customers, it assures you of competent service as it dedicatedly acts as your virtual outfit planner. There is no time to think any longer ladies! Go all out and stun the world with your choice and your look of the season. While some women are very good at being an outfit planner — combining and creating new looks from the clothes in their wardrobe — some women find it difficult to dress for different occasions, combine colors, style different outfits such as how to style a palazzo or how to rock blazers, so they rely on others to teach them what to wear and how to wear it. What do you do if you are preparing to attend a dinner party and that fashionista cousin of yours is not around to style you and you can’t just reach to her on Skype or WhatsApp? You would probably stay back or combine your outfit anyhow and just look ordinary while others slay at the event. The best and most reliable way to look on fleek everyday with your outfit is the best outfit planner app. This outfit planner app acts just like a virtual wardrobe guide for you. 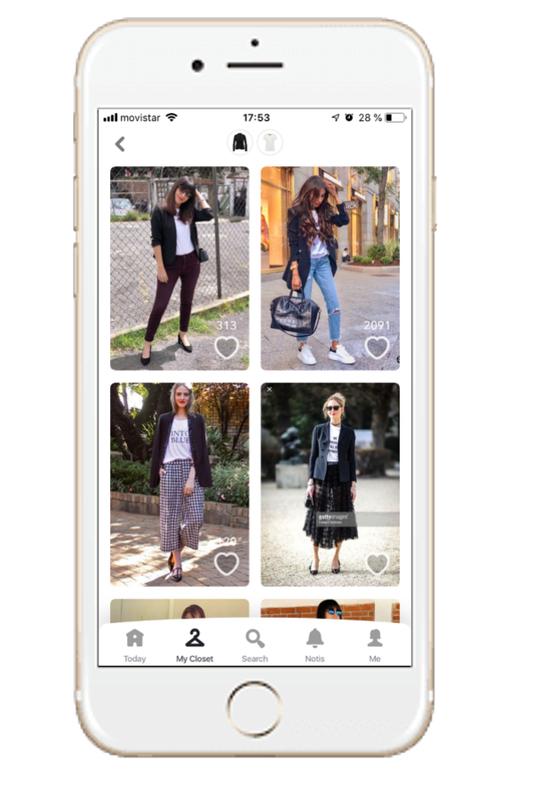 One of such apps is Chicisimo, a wardrobe app which helps you make your outfit choices. Chicisimo outfit planner app is available on iOS and Android. Outfit planners serve as a virtual closet for you. You do not have to go through the trouble of scattering and rearranging your wardrobe just because of a simple outfit. nor you have to look underdressed or overdressed for an event. You won’t even have to worry about wearing the wrong attire for the event you are attending. A virtual closet will help you select the perfect outfit for your body and for your outing. We all love to picture our perfect wardrobe -our shoes neatly and attractively lined up on a rack, our shirts and tops organized by color or style, every outfit organized and arranged by season and purpose. However, to be honest, for most of us, this is far from the reality. The truth is our closet is a mess of the clothes we’ve thrown in and it is almost impossible to find what we want to wear. Also, because it’s so difficult to see our clothes in the wardrobe, we tend to wear the same outfit over and over again. This can be so frustrating. The good news, however, is you no longer have to live like this. With the concept of virtual closet, you can now organize your entire closet from your smartphone. With virtual closets, you can always dress to kill for any occasion and be the fashionista queen you always wanted to be. Having your clothes on virtual closets is just like having your playlist on spotify. All your clothes are organized and under control. You can organise the outfits in your wardrobe by colour, material, style, occasion, and the number of times you have worn them to help you narrow what your next outfit will be. Also, you can keep a calendar to help remind you of when you wore a particular outfit and to which event you wore it. Most of us do not like to wear the same outfit to an event that might have the same crowd. Outfit planner serves as a life saver when you don’t know what to wear. So you check your wardrobe and you don’t know what to wear. Just open Chicisimo and your whole wardrobe will be one tap away. Most times, women find it difficult to find things to wear and they tend to forget a particular garment in the sheer numbers. After all, there is probably a lot of clothes in your wardrobe and you may not remember everything you have. This is where an outfit planner app comes in. This apps have a very big memory and they will never forget things like that. A virtual closet will remind you of every piece of clothing in your wardrobe. Finding it hard to create the perfect outfit combination for a particular occasion? An app planner will help you create outfit combinations you might have not even imagined by combining the latest trends and outfits other fashionistas, like you, are rocking. Most women say they have nothing to wear, not because they actually don’t have anything to wear, but because they have overlooked the a certain combination they would have created with two or more pieces they have in their wardrobe. You can pair something old with something new and create a very beautiful outfit. For example, a new top with an old jeans trouser. A good outfit planner can help you do this. You can always save a particular look you will love to wear to an event to an album on your app. The app will help you organize when or for which occasion you are going to wear every look you have saved. You can create outfits from the photos of your clothes in your virtual closet and the app will help you assign dates to wear them. An outfit planner can also help you browse through looks of millions of users and select the best that would suit you. You can also save your preferred looks in your album. If you are someone who finds it hard to create the perfect out for events or you’re a serious fashionista who has a busy schedule, an outfit planner app can seriously help you save time and help you look good everywhere you go. Not only will you look beautiful, classy, and stylish all the time, this app will also help you learn how to become more organized, especially regarding your wardrobe. With a good outfit planner app, you will never be late again to important events because you’ve spent a lot of time looking through your wardrobe trying to decide what to wear and how to wear it. When it comes to being a fashion queen, embrace technology.